Bamboo has been used to forge weapons for possibly thousands of years. Ancient weapons have been found by anthropologists in China that date back to the Ming dynasty. Primitive bamboo weapons were also important in Japanese culture. The durability and light weight of bamboo canes is ideal for making arrows. Bamboo bow and arrow systems are still in use today and can even be purchased at specialty weapon dealers. 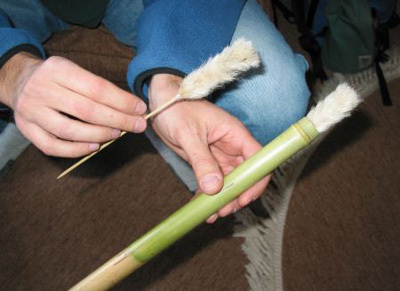 Another popular bamboo weapon is the blow gun. A cane can be hollowed out to allow a small dart to travel through its chamber. Blow guns were reportedly used by the Japanese samurais hundreds of years ago. Below are a few of the common bamboo weapons that we have witnessed throughout history.